Hublot is a newcomer in the smartwatch industry, but it has tremendous experience as a watchmaker which plans to put to good use. As we previously reported, French brand is unveiling its first-ever luxury smartwatch powered by Wear OS by Google. 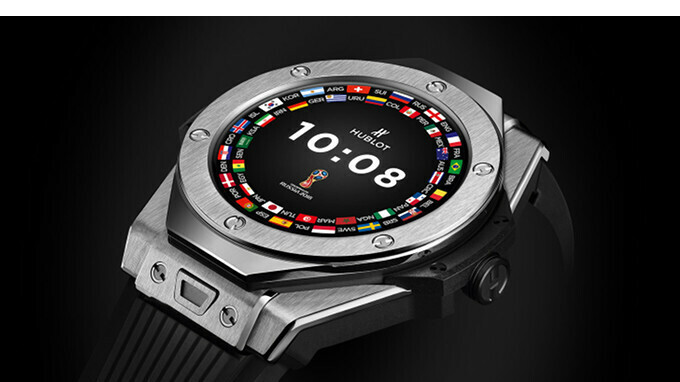 The result of the collaboration with FIFA, the smartwatch will be released under a weird name: Big Bang Referee 2018 World Cup Russia. When it teased its wearable device a few days ago, Hublot confirmed only a limited number of units will be produced, and today that number was revealed: 2,018. The smartwatch is made out of light titanium and its bezel is decorated with 6 H-shaped screws and features Kevlar insert. The AMOLED display sports an analog mode dial and supports 400 x 400 pixels resolution. You won't be getting more than a day of battery life out of Hublot's luxury smartwatch, but you'll benefit from 5 ATM water resistance. 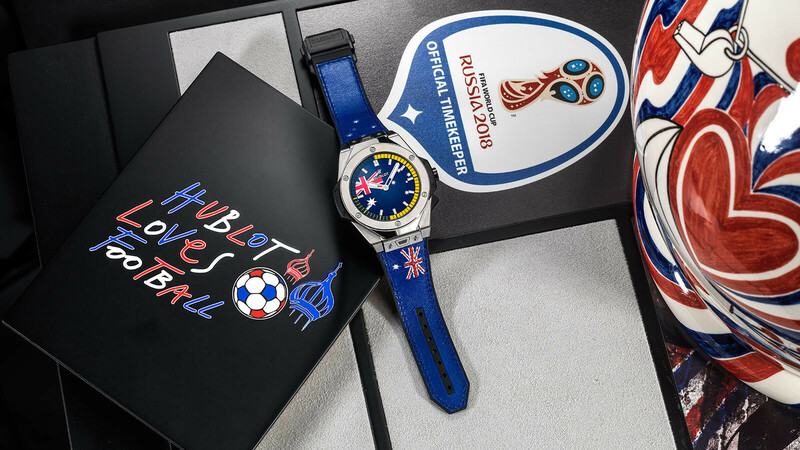 Since it's a FIFA-themed smartwatch, the Big Bang Referee 2018 FIFA World Cup Russia announces the wearer about matches 15 minutes before their kick-off, as well as yellow and red cards, player changes and goals. On top of that, the smartwatch is set to vibrate whenever a goal is scored during a match. You'll also be getting match statistics such as the score, the number of cards, names of goal-scorers, player substitutions and match time. The Big Bang Referee 2018 FIFA World Cup Russia is fully compatible with smartphones running Android 4.4 and above or iOS 9 and above. The $5,200 price is justified by the fact that this is a limited edition product and that it uses some high-quality materials. It will go on sale in mid-April, so start saving if you want one. Hublot is a super luxury brand. Apple is not. Hublots are for tasteless knobs. This is worse. Tag Heuer's effort with their smartwach has hardly set the world on fire. I doubt people will pay this sort of money for tech. People only pay big money for mechanical watches, in much rarer cases very well made quartz watches. You know that for sure? Because TAG Heuer claim that their Connected watch is making already a big percentage of their sales and they are already in the second generation of the product and they even diversified their lineup with a smaller model. What is your source?